The story of that man and his 76 trombones, and the wonderful, wonderful tune he played on every heart in town! Harold Hill is a scam artist who comes into the small, quiet town of River City Iowa with a plan. 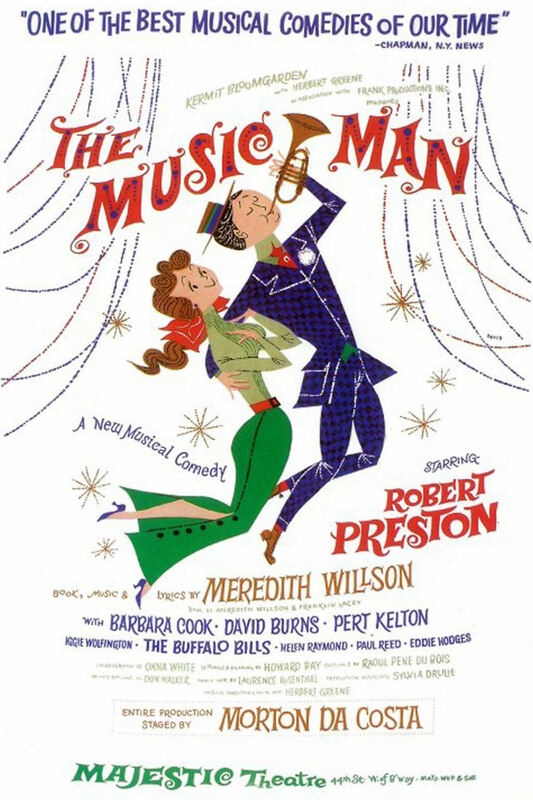 Taking on the phony role of Professor Hill, the con man promises to form a marching band. All the people of River City have to do is supply him with the funds to buy instruments and uniforms, and he will do the rest. His real plan is to ride the rails out of town as soon as he gets the town's money. First, though, he has to ease the suspicions of Marian, the River City librarian, and Mayor Shinn, who is also the proprietor of the local pool hall. However, Hill's objectives gradually change the longer the stays in River City.